This plaque was erected by the Goshen W.I. at Goshen Cemetery. 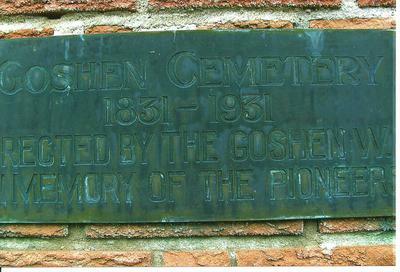 The plaque reads "Goshen Cemetery 1831 - 1931 in memory of the pioneers." It is on the brick wall in front of the cemetery.